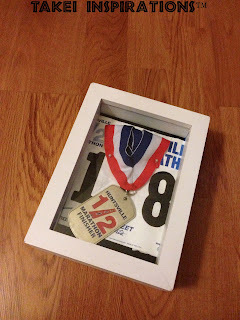 In November I ran my very first half marathon 13.2 miles. 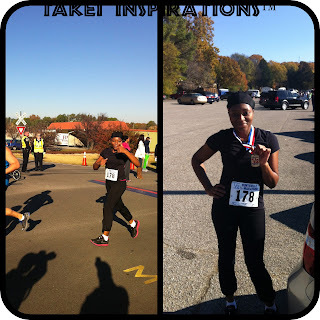 It was the Rocket City Marathon here in Huntsville Alabama and I had an awesome time! My time was 2 hours and 8 minutes which is about average so now I am working on speed to improve my time I would love to run my next half marathon in the 1 hour 40 minute range. I have incorporated a lot of weight training into my routine and I’m loving the results (^_^) I feel like a much stronger runner now even though I weigh a little bit more than I did when I completed the race. awarded the medal! I was in a little discomfort the following day but it was all worth it! I felt kinda like I’d been in a wreck or a fight because my muscles and I mean every one of them was pretty sore. Nonetheless, I can hardly wait to run my next one and soon run a full marathon (^_^) See ya next time! Congrats!!!! I'm doing my first 5K tomorrow, and I'm so nervous. Looking forward to many more :D.
Thank you and that's awesome! Don't be nervous have fun! I hope you'll be doing a blog post on your experience. Yes I be blogging about it :D.